Cotton Rope is a lightweight soft 3-strand rope that is often used for decorative purposes. 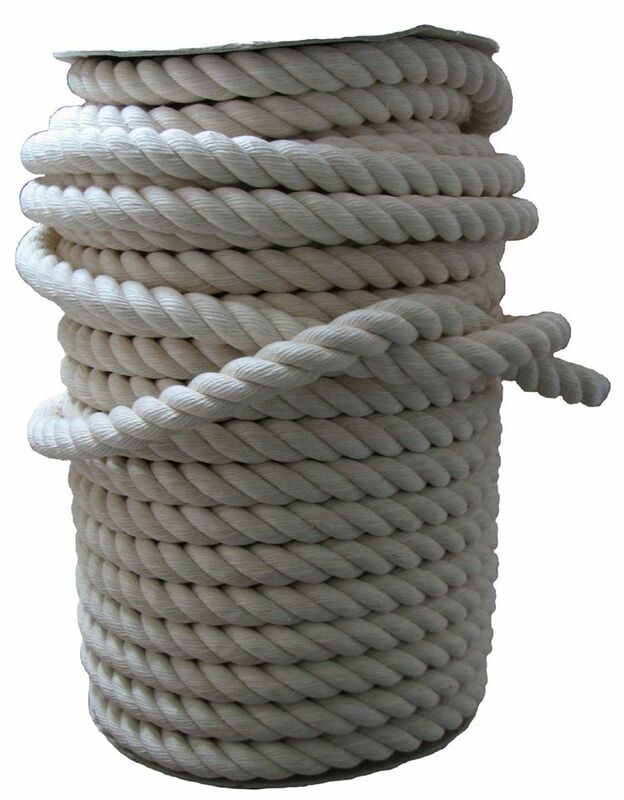 Cotton rope is very stretchy and is extremely comfortable to handle. It can also be easily dyed. Cotton ropes are used for sash cord, clothesline, and Venetian blind cords. Some popular applications of cotton rope are magic novelties and bird or other pet toys. Although cotton rope has many favourable characteristics, it is not resistant to oil, water, or other chemicals. Is also used to make animal halters, lead ropes, trapeze ropes and climbing ropes for circus work. Our Cotton rope is unbleached. Please note as the rope is a natural fibre rope it can increase in diameter when relaxed. Colour is a creamy white.